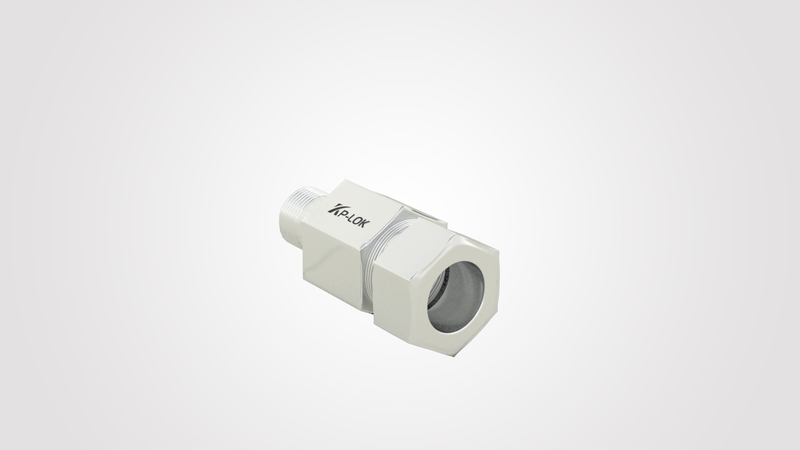 SAE fittings, flareless fittings - Kp-Lok Houston Inc.
SAE flareless tube fitting are accessible in Alloy 4 and 316 SS and in sizes from 1/8 to 2 in. For forces up to 7700 psig. Big range of adapter fittings. Also generally known as compression fitting, SAE flareless fittings are used in medium to high force applications. They are compromised of a nut, single or twin ferrule and the fitting body. The ferrule and nut side over a tube with an OD that matches the ID of the receiving fitting. As the nut is tightened with the right torque, the nut compresses the ferrule to the tube, thus offering a strong and leak-free seal. The higher the structure force the bigger the needed wall thickness of the tube and so more appropriate for flareless fittings. Thicker walled tubing is not realistic or even easy to flare. Flared fittings offer important design and performed features as matched to pipe fittings and can be used with think to medium tubing wall. In most hydraulic applications and design, pipe fittings have long been changed with flared fittings, mainly in aerospace and military equipment. In low to average force applications, the most general type link type is a flared fitting. One flare SAE 37 is the quality in most hydraulic structures. SAE standards for highest tube wall depth must be tracked before flaring the tube to relate the fitting link. Flareless fittings are sold as a fully assembly, unless otherwise specific. Fareless sleeves and nuts are not accessible for individual sale. Flareless nuts have a grey look due to molly coating practice helped to rise the routine of the nut. All F series Flareless fittings are produced from 316 stainless steel. The flareless fittings is perfect for systems with top vibration as it dampens tremor better than flare fittings. If an applications calls for thicker tube a flareless fitting is an amazing solution because the flareless fitting does not need the tube to be flared. Once the ferrule is in location and set, the assembly will not leak, making it extremely reliable, and more best than that 37 degree flare fitting. A drawback to the flareless fitting that is needed the pre-set before final assembly to make sure right function.